As per team tradition, the Packers select game captains each week. Today’s captains will be T David Bakhtiari (offense), LB Julius Peppers (defense) and LS Brett Goode (special teams). As per team tradition, the Packers select game captains each week. Today’s captains will be T David Bakhtiari (offense), LB Clay Matthews (defense) and DB Micah Hyde (special teams). GREEN BAY — Four Packers players were awarded game balls by the coaching staff for their performances in Green Bay’s 38-17 victory over the Carolina Panthers on Sunday. 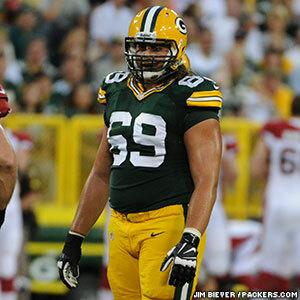 On offense, the game balls went to offensive tackles Bryan Bulaga and David Bakhtiari. Their blocking on the edges contributed to RBs Eddie Lacy and James Starks averaging better than five yards per carry each, while QB Aaron Rodgers posted a lofty 154.5 passer rating. On defense, a game ball went to CB Casey Hayward, who intercepted a pass for the second straight game. Hayward now has eight interceptions in his career. On special teams, a game ball went to veteran Jarrett Bush, who played 26 snaps on special teams alone and posted a season-high three coverage tackles. As per team tradition, the Packers select game captains each week. Tonight’s captains will be T David Bakhtiari (offense), LB Clay Matthews (defense) and CB Davon House (special teams). As per team tradition, the Packers select game captains each week. Today’s captains will be T David Bakhtiari (offense), LB Brad Jones (defense) and S Chris Banjo (special teams). Packers LT David Bakhtiari said his family has had season tickets to San Francisco 49ers games at Candlestick Park since he was a little kid. How fitting, then, that the rookie will be making his NFL debut this Sunday at the same stadium his family has visited countless times over the years. His emotions will need to be under control in order to handle one tough assignment — San Francisco pass rusher Aldon Smith, who has 33 1/2 sacks in his first two pro seasons. With veteran Justin Smith rushing next to Aldon Smith, the 49ers have possessed one of the toughest pass-rushing combos to handle in the league. 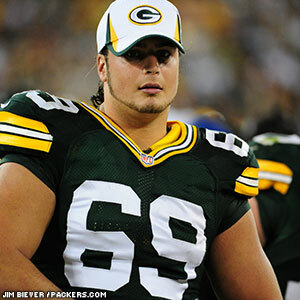 Bakhtiari has handled everything thrown his way thus far, keeping him confident, yet he remains humble. QB Aaron Rodgers has confidence in Bakhtiari protecting his blind side and said these are the battles he should relish. “He’s up against a Pro Bowl guy, one of the best in the business, and he’s continuing to get better. You can see it on the film,” Rodgers said of Aldon Smith. “He’s still athletic as all get-out. It’s hard to say whether or not Bakhtiari’s parents are thrilled about their son going up against their hometown team right off the bat. Bakhtiari said his dad is going to wear Bakhtiari’s No. 69 Packers jersey with a 49ers jacket over it for the game. Bakhtiari said the last 49ers game he remembers attending was the 2011 NFC Wild Card game between San Francisco and New Orleans, one that became a playoff classic with multiple lead changes in the waning minutes. He’s not making any predictions as to whether or not Sunday’s game will go down in history somehow.